We are all ware about the grand celebrations that takes place on January 26th on a national level. Not all of us are lucky enough to be a part of those celebrations in reality though we can obviously enjoy the same on out television sets. However, if instead of having a virtual experience you wish to have the first-hand experience of Republic Day Celebrations, there is an option. You can gather all the members of your society and prepare for the celebrations within your society. In this article we are going to tell you how to organize Republic Day Celebrations in your society. It is important that you decorate the society with things that in one way or the other are associated with the glory of our nation. To make the process of decoration less expensive you can also add spice to it. You can ask all the members of the society to get creative with the pen and appear. Many will draw the national flag on the sheets while many others will come with posters carrying republic day slogans. There will also be many who will jot down the republic day quotes on the posters. You can ask all to deposit the same with the watchman on afternoon of January 25 so that you can use them for decorating the society in the evening. Believe us it is going to be more enjoyable and interesting. Flag hoisting is one of the most important aspects of Republic Day celebrations. Irrespective of the fact where the event is being organizes this ought to be done. 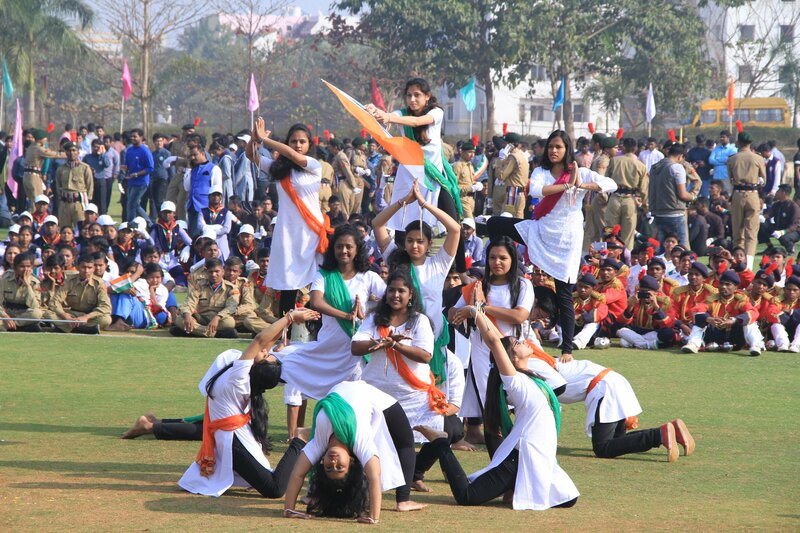 This is an intrinsic part of Republic Day celebrations. However, this requires no effort but holds great honor for the one who is given the opportunity to do the same. So, this is a good way of keeping the elder members of the society involved. You can ask the senior citizens of the society to do the flag hoisting. Not only will this make them feel involved in the preparations but at the same time they will also feel honoured. When the Flag Hoisting is being done it is important that all the members of the society and all those present there must stand up in attention and begin singing the national anthem. After you are done with the national anthem you can also go in for playing the other patriotic songs. Ensure that even the children have learnt the same by heart so that there can be more energy while it is being sung in the premises. You can divide all the children of the society into three teams and give one of the best patriotic songs to each team and ask the kids to learn the song by heart. After national anthem is sung, these groups can one by one sing the patriotic songs that they have prepared. Similar to the aged people of your society, there are very less opportunities where you can involve the children in the preparations of Republic Day celebrations. The best way to keep them involved is by giving them the work they like the most, that is, play. You can arrange for the games and sporting events on the occasion of Republic Day that strictly relates to the essence of the event. Sports also plays an important part is maintain the glory of our nation as many sportsperson have done miracles on the sports field and fetch diverse awards for the nation. Therefore, sporting events are a good ingredient for Republic Day celebrations. The members of the community can organize the sports meet once the flag hoisting ceremony is done. An important part of the sports meet can be the competitive events that include athletics as well as the other cultural activities. There is no need for you to restrict the fun of playing games only to children. You can play a lot of other games also that require less of physical efforts. You can refer to our republic day game ideas to involve a few in your schedule. The benefit of playing these games is that you can involve all and sundry which further enhances the fun and enjoyment. 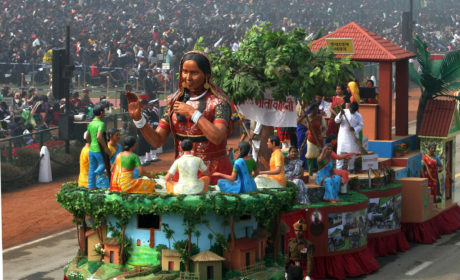 Cultural programs are a vital ingredient of organizing a perfect republic day event. In your community or the society where you are residing there will surely be people who belong to diverse states and religions. Even if members of each religion or state prepare a cultural performance there will easily be a good display to offers to the guests. You can organize the state wise cultural events. Club people who belong to the same state to form a team, and ask them to plan something that pertains to their culture, and at the same time to the nation also. You can surely improvise the teams by restricting the number of participants as well as by taking only the talented individuals in the team. So that all the teams and participants take the task assigned to them seriously which will result in great output you can also announce reward for the best performing team. This is surely going to light up their performance. One thing that you need to remember is that the society is not formed by just the individuals who own an apartment there but also by those who are working in different departments like security and cleanliness. Make an effort that you involve all the helpers as well as financial underprivileged sections of the society in the republic day celebrations. Here we mean that you must invite liftman and the watchman plus the other helpers. All in all, this is how to organize Republic Day Celebrations in your society. For more help or queries or to share ideas you can leave your message in the comment section below.